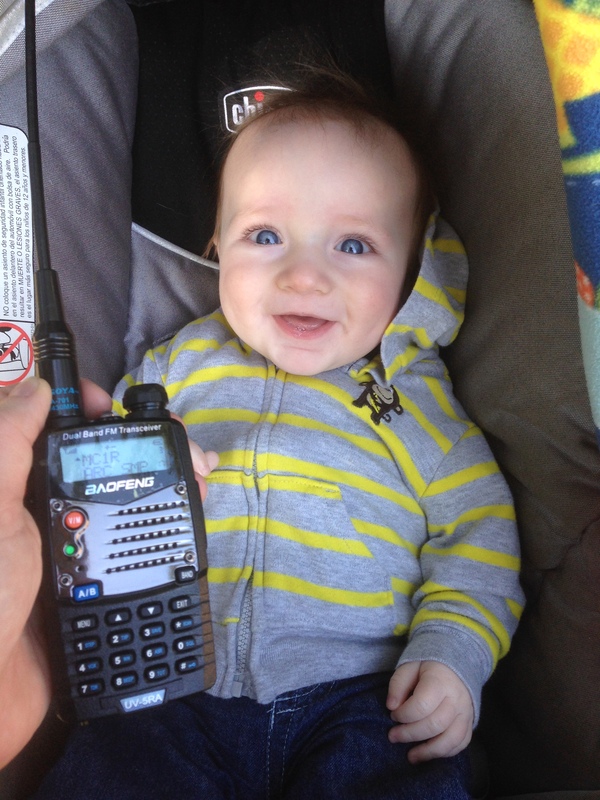 You read my last post about why you should become an Amateur Radio Operator (aka: ARO, aka: Ham), right? And you went out and got your license and a handheld radio, right? Great – now it’s time to practice. Portland is full of great opportunities for getting hands-on experience using your radio. When the Big One hits, you don’t want to be fumbling with your radio and trying to read a list of frequencies. You’ll want to turn your radio on and have immediate access to the frequencies that will be used by other AROs in your area. And you don’t want to be terrified of talking if you have important messages to convey. That means you need to program those frequencies into your radio and practice using the darn thing. It’s especially important to learn when to talk and when not to talk. 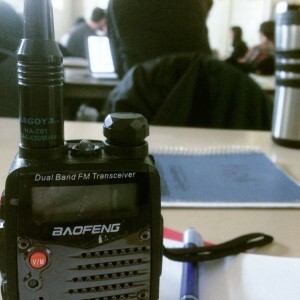 It can seem intimidating at first, but once you get past these first few hurdles, you’ll be amazed at how quickly you will become comfortable operating your radio. The Piedmont Neighborhood Emergency Team is hosting two three-hour classes for newly-licensed amateur radio operators and other “hams” who have been out of action for a while or who never quite got activated. I went to one of these trainings recently, and it was fan-tastic. These classes are free, but please pre-register. Saturday, May 14, from 1-4pm at the Leaven Community Center, 5431 NE 20th Ave, Portland, 97211. Register here. Saturday, June 18, from 9am-12pm at the Leaven Community Center, 5431 NE 20th Ave, Portland, 97211. Register here. An amateur radio net, or simply ham net, is an “on-the-air” gathering of amateur radio operators. Most nets convene on a regular schedule and specific frequency and are organized for a particular purpose, such as relaying messages, discussing a common topic of interest, communicating in severe weather, coping with emergencies, or simply gathering for conversation. (Wikipedia) — This type of net is not to be confused with Portland NET, the Neighborhood Emergency Team program! Several Portland area groups do regular ARO Nets each week. Even if you don’t feel ready to talk yet, at least listen in so that you can get comfortable with the way AROs communicate. The following are some Nets you should consider participating in. The Neighborhood Emergency Team Net (NETnet) is a ham radio on-air gathering that discusses issues of interest to Portland NET members. Their primary audience is those with little or no experience on the air, but they often get check-ins from experienced hams and folks not associated with emergency communication. Anyone can listen, but you do need at least an amateur radio Technician License to transmit. If you are a NET ARO, prospective NET ARO, or a Ham interested in emergency communication, the NETnet is a wonderful resource. Roughly 40 Hams are checking in to this net each week. NETnet organizers are looking for feedback and suggestions on how to make the NETnet an even more effective training venue than it already is. Please click here to complete a short online survey. The Portland Amateur Radio Club (PARC) is a great resource for AROs in the Portland area. They have monthly in-person meetings, as well as a weekly on-air net. The Multnomah County Amateur Radio Emergency Service (MC-ARES) is a field organization of the American Radio Relay League (ARRL). Members are active in community service. They also have monthly in-person meetings, as well as a weekly on-air net. The Northwest Oregon Traffic and Training NET (NTTN) is handles formal written traffic into and out of the state of Oregon. MEET YOU ON THE NETS! Joining in on a Net can be intimidating, but AROs are a welcoming and forgiving group. 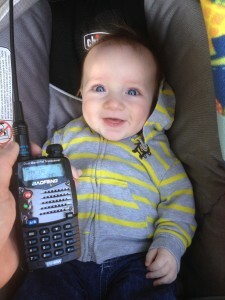 This is the best way to learn to use your radio so that you’ll be effective in an emergency situation. I hope to meet you on a Net sometime soon!